Battery2U.co.uk is pleased to bring you a range of Lucas golf trolley batteries. These high-quality 36 hole batteries provide excellent reliability for occasional and regular golfers alike. Each Lucas golf trolley battery is designed to give a longer lifespan from a single charge than other batteries. The Lucas range includes something for every golfer. Standard lead acid batteries suit the casual player perfectly. More deluxe models have the power to cope with even the most difficult course conditions, tackling long distances and steep hills with ease. When it comes to batteries, Lucas are one of the most trusted names on the market. They provide some of the highest quality batteries available for all kinds of applications. 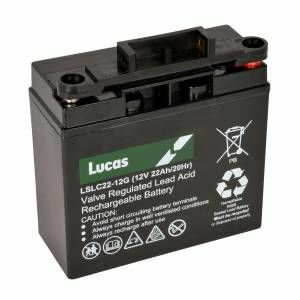 If you want a battery for your golf trolley that will give you long, reliable service, Lucas Batteries are the ideal place to turn. When buying a new battery, Battery2U is a company you can trust. We have been working in this field for more than 40 years. In that time we have become true experts on batteries of all kinds, and can provide you with sound advice if you aren't sure what type of battery you need. We also pride ourselves on excellent customer service, ensuring you get a smooth transaction. At Battery2U, we deal directly with the major manufacturers. That way, our costs aren't inflated by middlemen and we are able to give you the best deal possible. If you don't see the golf trolley battery you need on our website, contact our customer service department and we will try to locate it for you.